In Ballet Technique classes we strive to introduce the fundamentals of classical dance training including classical positions, poses, port de bras, anatomy, musical understanding and pathos. Here we break down and study vocabulary and establish kinesthetic rules and concepts. We utilize classical Vaganova theories as well as Balanchine Method in our teachings to create uniformity in our dancers capable of swift, clean, sharp lines, athletic and muscular dancers. One of our goals is to produce a ballet student capable of pursuing a professional career within a classical or contemporary company. 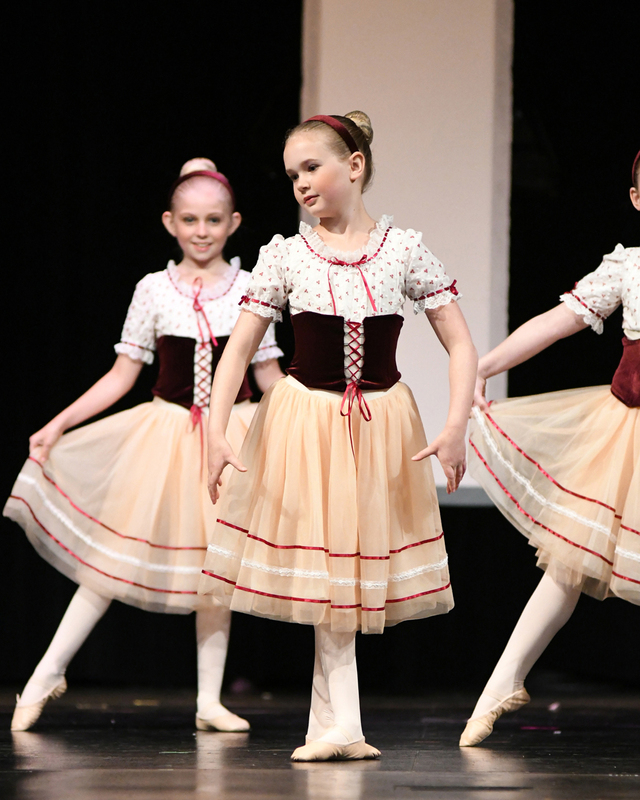 Students should have completed 1 year of PreBallet upon entering this curriculum if possible, they must be age 7 or older. Dress code is strictly enforced and classical music is used predominately to develop the dancer’s awareness of classical phrasing and music. At each level of technique, the demands and rigors of the technique and student will increase. As they reach the intermediate level, the girls will be evaluated for pointe (Level 3, 4). Special attention to barre exercises, stretching and strengthening and vocabulary are studied in the beginning years, complexity, rhythm and timing in later years. Adagio, Petite Allegro/Batterie and Grand Allegro are studied in each year, vocabulary appropriate to the level of class. Advanced increases vocabulary, characterization, musicality and execution understanding as well as artistic development, personality and character creation.